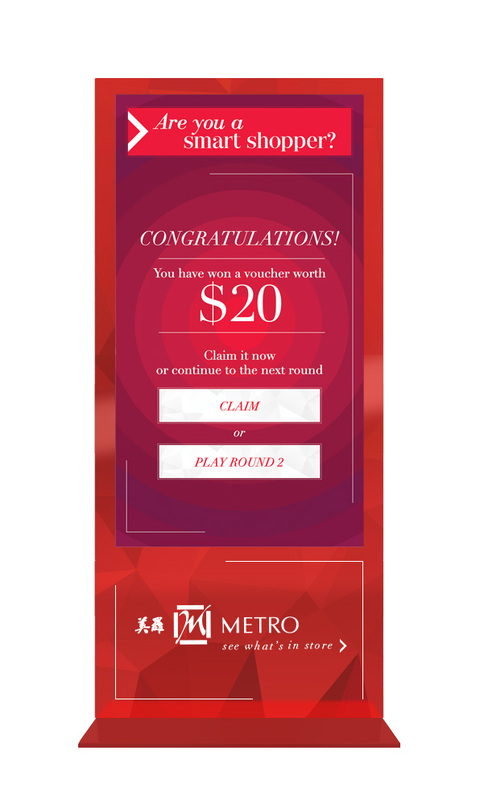 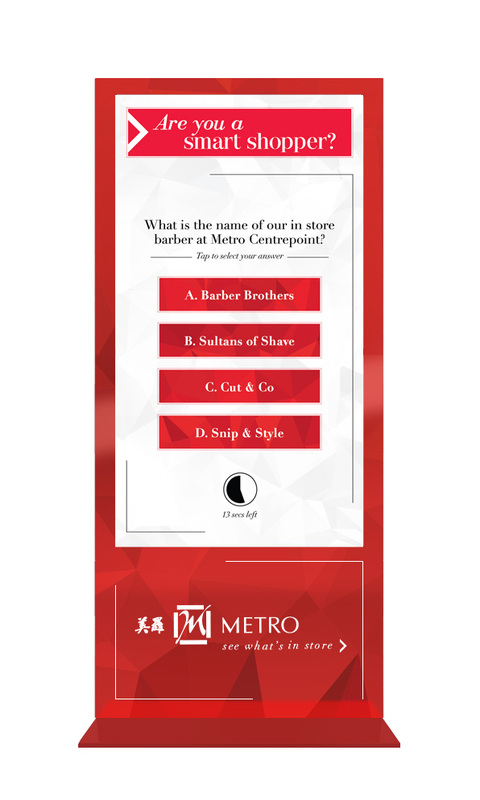 During the GSS 2015 period, Metro Singapore has decided to launch an interactive games to promote their opening of Metro Centrepoint. 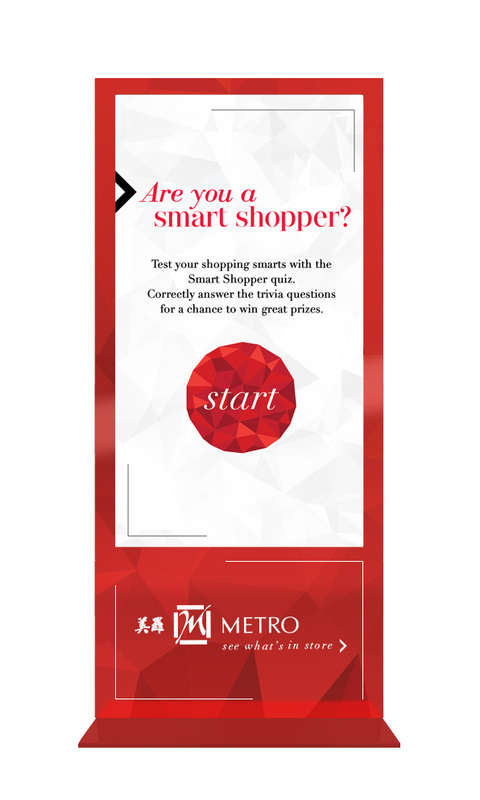 It is an interactive game that allow shoppers to play to win vouchers that they can spend in Metro. 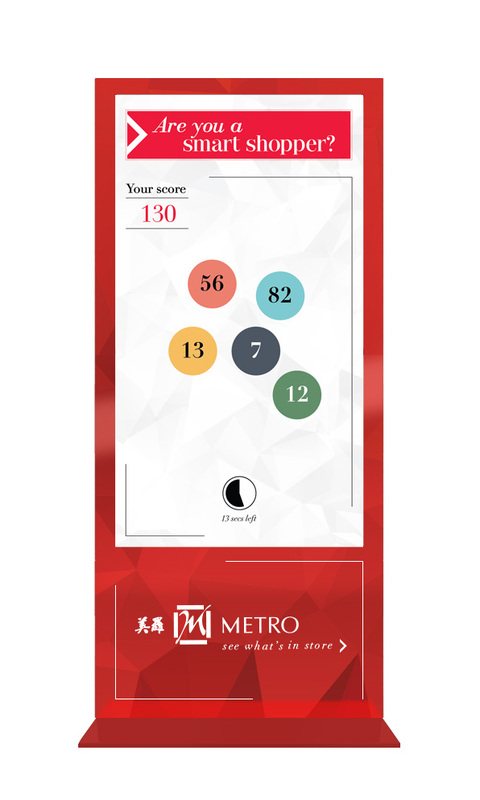 This game was developed using Angular.JS and specifically design and catered for the large touch screen display. 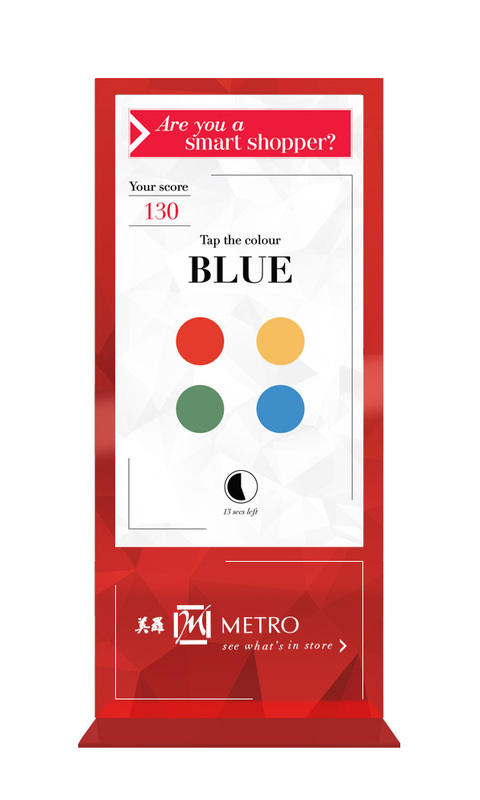 It consists of 5 stages with different type of games, such as question & answer, get the sequence and memory game. 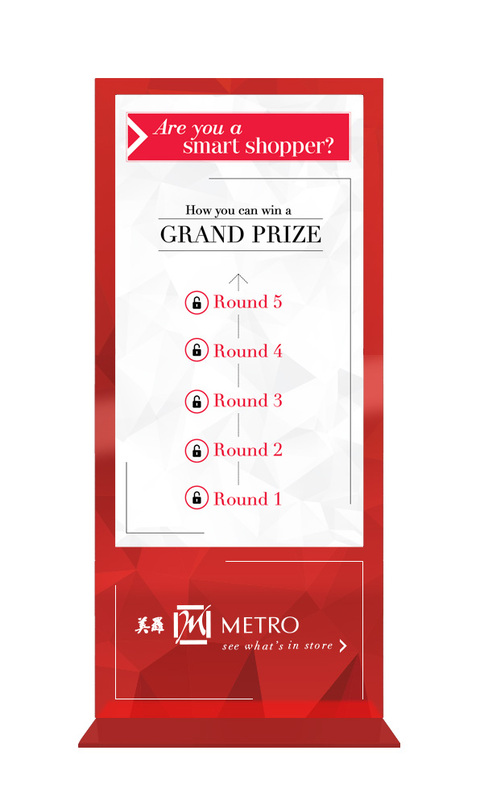 The value of prizes will increase depending on the stages the shopper complete. 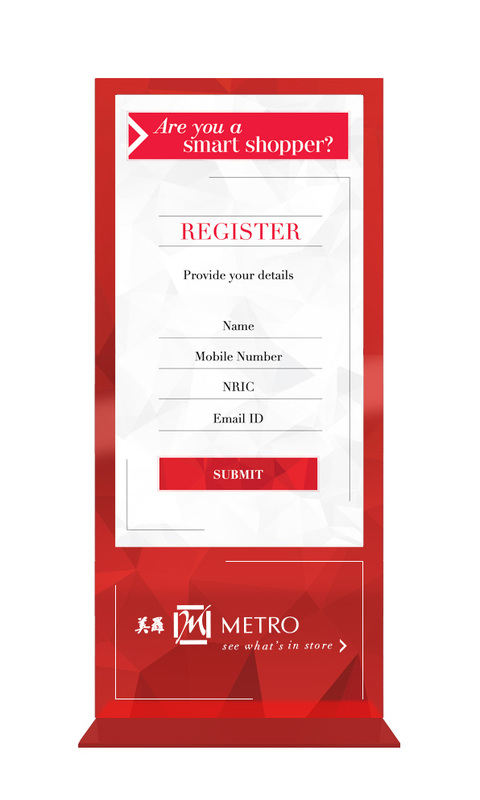 Upon completion of each stage, shopper can choose to register and get the voucher or continue to get the grand prize.